Mississippi is bordered on the north by the state of Tennessee; on the east by Alabama, on the south by Louisiana and the Gulf of Mexico; and on the west by Louisiana and Arkansas (across the Mississippi River). Since being legalized in 1990, casino gambling along the Mississippi River and the Gulf Coast has led to economic gains for the state. However, an estimated $500,000 per day in tax revenue was lost following Hurricane Katrina’s severe damage to several coastal casinos in August 2005. 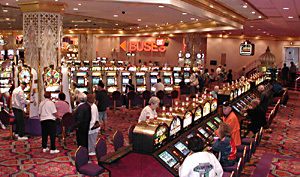 Gambling towns in Mississippi include the Gulf Coast towns of Bay Saint Louis, Gulfport and Biloxi, and the Mississippi River towns of Tunica (the third largest gaming area in the United States), Greenville, Vicksburg and Natchez. Before Hurricane Katrina struck the Gulf Coast, Mississippi was the second largest gambling state in the Union, ahead of New Jersey and behind Nevada. The capital city of Jackson, Mississippi is a fascinating blend of the old south and the 21st century. Jackson is a city of well preserved historic buildings, from the governor’s mansion to City Hall. Baptist and Presbyterian churches stand alongside antique shops and flea markets. Interspersed with Civil War memorabilia and plantations reminiscent of years gone by, are landmarks from the Civil Rights Movement. In 2004, Jackson was named one of America’s Best Places to Live, Work and Play and one of the 30 most livable communities in the United States. Biloxi is a delightful resort city on the Mississippi Gulf Coast with 26 miles of white sand beaches to non-stop casino action, sophisticated shopping, culture, history, arts, delectable cuisine, charter fishing, spas, and championship golf courses. Frequent festivals in Biloxi and Gulfport celebrate everything from seafood to sand castles. This Playground of the South has it all. Gulfport has a long history of discovery and exploration, and the Port of Gulfport is one of the nation’s largest ports. Today it is a city of over 71,000 and is an important seaport for shipping lumber, cotton, and seafood, as well as being the largest banana port in North America. Luxurious 24 hour casino resorts thrive and championship golf courses rest alongside centers for historical and cultural exhibits, museums, historic homes, and other structures of architectural significance. The streets of Columbus are lined with magnificent pre-Civil War mansions. Columbus is a place where the historic architecture of old Greek columns and cupolas maintains a place of prominence among modern buildings. The grand old homes found outlying the streets of Columbus are privately owned and beautifully restored. Two homes that are a must see when visiting Columbus are Liberty Hall and Amzi Love, both these homes have remained in the same family since they were built in the 1800’s. 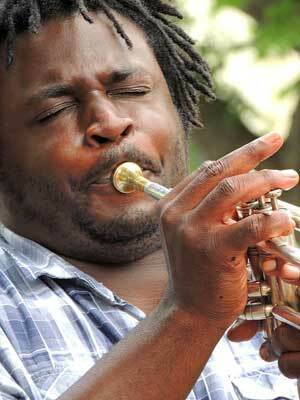 Mississippi has been historically significant in the development of the blues, especially the Delta region. The Delta Blues Museum is located in Clarksdale and is visited by people from all over the world. Close by is Ground Zero and Madidi, a blues club and restaurants co-owned by actor, Morgan Freeman. Elvis Presley was a native of Tupelo, Mississippi, and country music, while its origins lie more in Tennessee than Mississippi, found its first superstar in Jimmie Rodgers, a native of Meridian. From famous alternative rock band 3 Doors Down to famous gulf and western singer Jimmy Buffet, Mississippi has a long and proud music history.